The Village of Elkhart Lake was incorporated in 1894, where early hard working settlers from Germany came to use the area for its farming potential. Soon after, visitors came by stagecoach, then train and drawn to the lake, the charming resorts around its shores and the abundance of recreation. Though the physical landscape today looks different, the community carries on the friendly, hardworking spirit that first built the Village of Elkhart Lake. The welcoming nature and good-hearted vibe will make you feel right at home. Remember, why be a Tourist, when you can be a Resorter. The Potawatomi Indians first called Elkhart Lake “Me-shay-way-o-deh-ni-bis” (or Great Heart Lake) after its shape resembling an elk’s heart. Scooped out by the ancient glaciers, the lake is wrapped by the lush woods of Wisconsin’s beautiful Kettle Moraine at 292-acres and 120 feet deep. 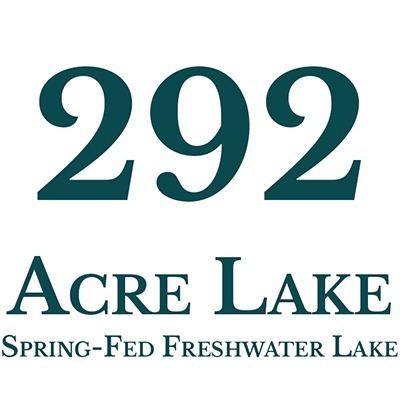 The spring-fed lake statistically measures just a bit more than a mile across a just over four miles around. 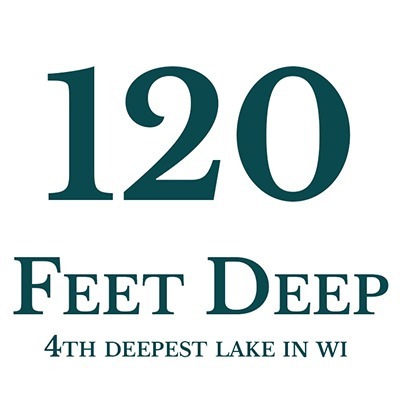 As the 4th deepest lake in the Wisconsin, its natural springs and sandy bottom provide the most magical blue color on sunny Elkhart Lake summer days. Q. What is Elkhart Lake? A. Elkhart Lake is a Lakeside Resort Village in Northeast Wisconsin home to three 3 distinctive Resorts, two bed & breakfast inns and multiple vacation rentals. Q. 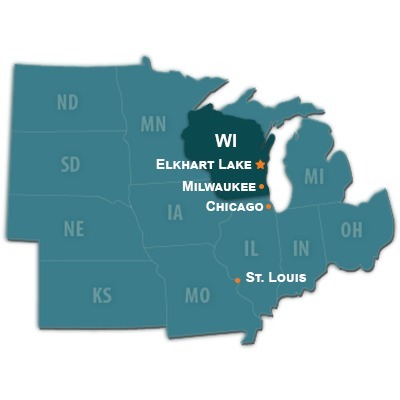 Where is Elkhart Lake? A. Elkhart Lake is located in Sheboygan County, just an hour north of Milwaukee and two an a half hours north of Chicago. Q. How do I get around when I’m there? A. The Village of Elkhart Lake is actually completely walkable! When you are here you can park your car at your accommodation and leave it until you are ready to depart. A. In Wisconsin, we have four distinct seasons. Summers can average from mid 70°F’s to low 80°F’s and winters can range from mid to high 20°F’s. Make sure to check the forecast before you visit because Wisconsin is know for those unexpected Mother Nature tricks. Native American referred to Elkhart Lake as “the chosen spot” for its awesome natural beauty. Since then, it’s deep pristine water, cedar tree-lined shores and nearby glacial hills and forests have drawn celebrity and everyday visitors year after year from across the country and around the world. Dive deep into the history of Elkhart Lake here.